Treatise and Forms provide legal analysis, practical insight, and drafting assistance for wills, trusts, and related instruments. 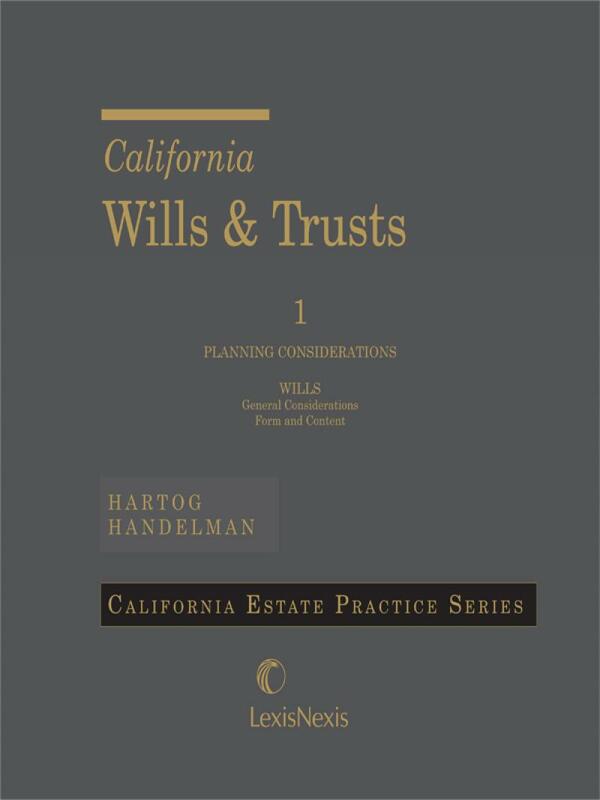 This exclusive bundle contains two of the most important LexisNexis products from the California Wills & Trusts series for California estate planning practitioners, California Wills & Trusts treatise and California Wills and Trusts Forms, 3 volumes each. Streamline your drafting process with the indispensable resources and functionality of this bundle at one low price. These complimentary products include cross-references to one another so you can refer easily to the Treatise while using the Forms and easily find the appropriate forms and clauses when researching an issue. • Cross references to Drafting System. 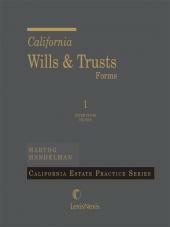 The California Wills & Trusts Forms is a full set of up-to-date forms for California practitioners organized for maximum user convenience. The set contains complete forms for wills and trusts (including revocable and irrevocable inter vivos trusts, life insurance trusts, charitable trusts, "special needs" trusts, and others), forms for additional provisions, and related items including client questionnaires, letters, codicils, durable powers of attorney, and waivers of marital rights. 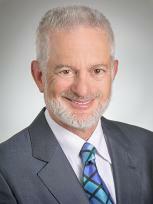 Specialized forms are included for Registered Domestic Partners. A unique numbering system lets you find what you are looking for quickly and easily. Also available is California Wills & Trusts Drafting System, powered by HotDocs®.